Remington brought the hunting-rifle prowess, and a leading manufacturer of modular repeating rifles introduced us to the 308 Win platform. What emerged is a masterwork of game-dropping performance and hunt-specific features that will load any camp’s meat pole with unrivaled efficiency – the new Model R-25. An advanced, highly lethal blend of accuracy, fast followups and light recoil chambered for three of today’s most popular short-action hunting cartridges – 243 Win, 7mm-08 Remington and 308 Win. This rifle is everything varmint and predator hunters love about our R-15 in a beefed-up design that easily handles cartridges suitable for big-game hunting. For peak accuracy, its precision-crafted 20″ ChroMoly barrel is freefloated within the machined aluminum fore-end tube. Six longitudinal flutes forward of the gas block keep weight to a minimum and facilitate rapid heat dissipation. The barrel also features a recessed hunting crown to protect the rifling and aid in more consistent bullet flight. When it’s time to make the shot, the R-25’s ergonomic pistol-grip gives you unmatched control and rock-steady aim. As a whole, this rifle has a balanced, stable design that makes it deadly from the offhand position. True to our hunting market, the traditional two-stage trigger found on AR-platform rifles has been exchanged for a crisp, single-stage version that comes from the factory set at 4 1/2 to 5 lbs. Its carefully tuned upper and lower are machined from rugged aluminum forgings. 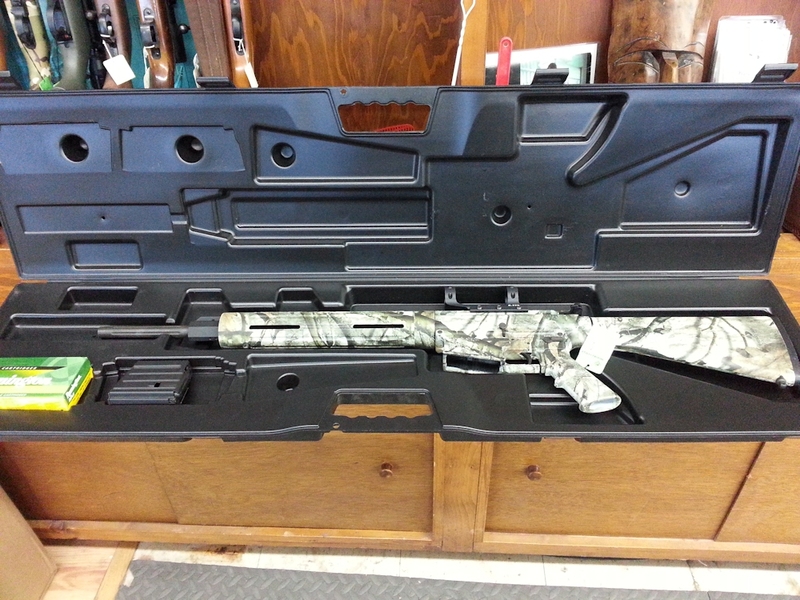 The entire gun is dressed in Mossy Oak® Treestand™ camo that makes it virtually invisible in the field. We included a 4-round magazine, and the R-25 is compatible with DPMS 308 Win-type magazines and accessories. front and rear sling swivel studs are installed.